I love finding interesting stuff in my own town. Especially when “interesting stuff” equals good food and drink. The lovely Allison Costa of Ventura Food Tours helped me find one of those places one Saturday morning. Allison organizes group trips around Ventura County to special food spots – restaurants, manufacturers, growers, bakeries – anyone who make things worth tasting. 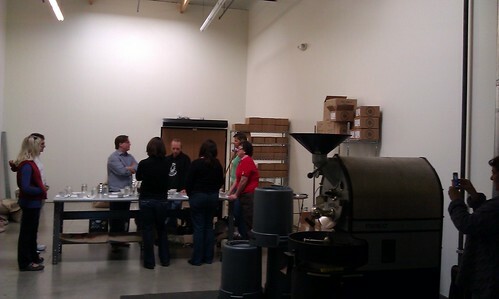 I met up with her and about a dozen other coffee lovers one Saturday morning at Beacon Coffee to learn from master roaster John Wheir. That’s John in the blue shirt. 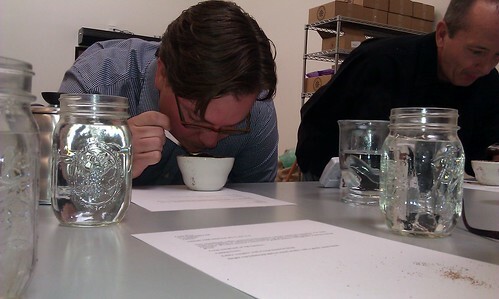 He led us through the process of “Cupping,” which is far more than simply tasting. 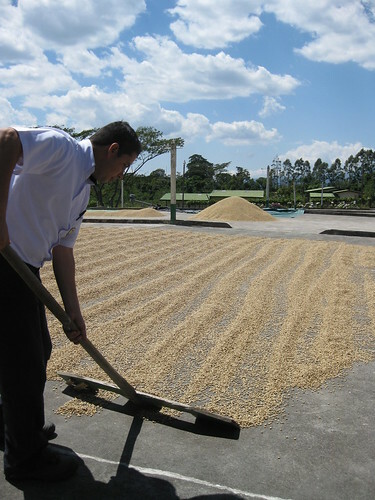 It is the way coffee buyers test coffee beans before they make their purchase. A precise amount of ground coffee is mixed with a precise amount of water (at, guess what – a precise temperature) and steeped for a precise amount of time. At the perfect moment, you lean over with and put your nose right above the cup. The coffee grounds have formed a cap on top of the water in the cup. Working with speed and conviction, you push the cap away from you with the back of a large spoon just as you take a big, slurpy inhale of the steam. IF you do this right – and chances are you won’t the first time – you get a big whiff of all the magic, complex odors contained in those roasted beans. After the sniff, you taste the coffee at different time intervals. I can’t overstate how amazing this was. For the first taste, the coffee was far too bright and acid for my taste, which is something I had experienced before with other Costa Rican coffees (which this was). But then…a few minutes later, the coffee’s flavor had mellowed and more richer, caramel flavors had come out. A few minutes later and the coffee was unrecognizable as the coffee I had first tasted – and it was really, really good. John knows his coffee. He has roasted for some of the biggest names in the business, including Whole Foods. 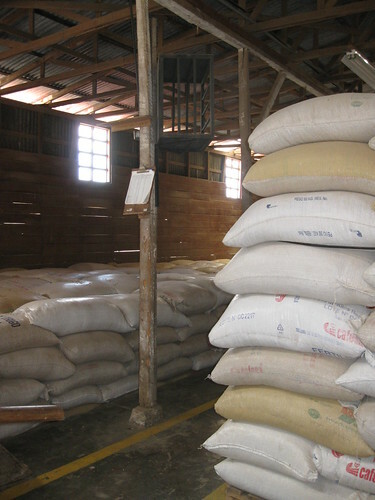 He and his wife travel to coffee-growing regions to select beans straight from growers. He was leaving for Costa Rica soon after our tour. I loved finding out about Beacon Coffee and getting a chance to reconnect with Allison, whom I had met at an event. I’m also happy to be able to buy coffee from a small, local business that has an appreciation for and a dedication to quality. You should come over. I have some totally good coffee for you to try. 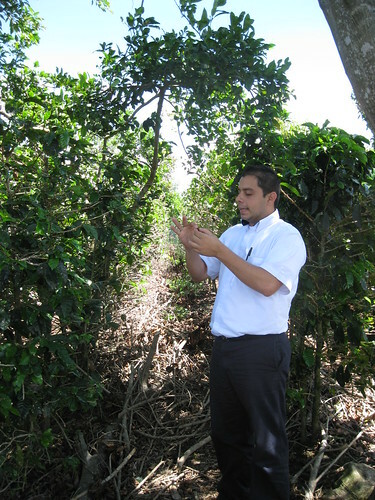 Melvin, our tour guide, explains how coffee grows. This is not a sponsored post. I paid for my own tour, and enjoyed it.